Kenton Events – Marquee Hire Services in Kenton – We've got you covered! Featuring a professional Led Bar, Led up lights, Starlight Led roof lining, Full RGB black Led dance floor, Ice chiavari chairs, Cocktail poseur tables and Champagne carpet! 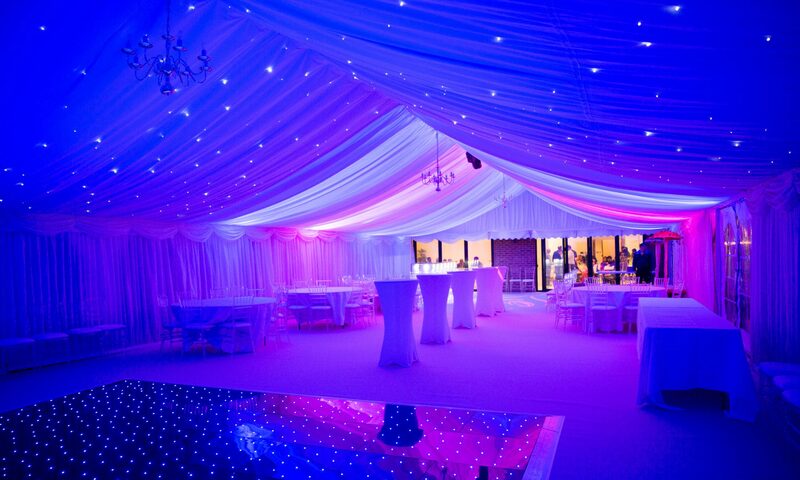 We provide luxury marquees on hire for Weddings, birthdays, engagements, baby showers, catering and much more!